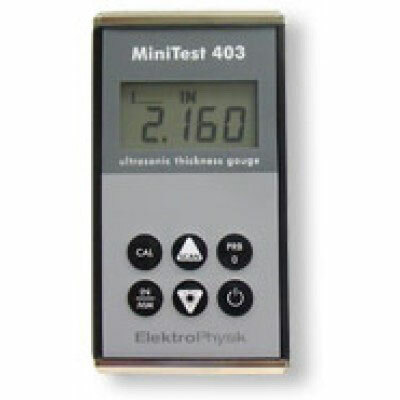 The MiniTest 403 is a straight forward ultrasonic thickness testing gauge housed in a all metal housing sealed with gaskets to make it weather proof and the sealed membrane keypad is impervious to moisture and oils. Special Features: Scan Mode: 16 readings per second, Compatible with minimum value capture and retention. MiniTest 403 Ultrasonic Gauge, complete kit with T-102-2000 Transducer - Please contact us for pricing and availability.